Subscriber, senior, student, and youth discounts not available for Symphony NH Presents concerts. Click below to watch Mark and Maggie O'Connor perform F.C. 's Jig. Recognized for his engaging style and genial rapport, conductor Scott Parkman has been praised by The Boston Globe as "charismatic and clearly gifted." Scott is one of Symphony NH's Music Director Search finalists. | Click here to read Scott Parkman's full bio. Conductor Scott Parkman is a musician of wide-ranging interests, recognized for his engaging style and genial rapport. Scott is the Founding Director of American Century Music (ACM), an organization dedicated to performing the works of American classical composers spanning the late 19th through the 20th centuries. Notable ACM performances have taken place at the Smithsonian American Art Museum in Washington DC, St. Louis Art Museum, Worcester Art Museum, Rhode Island School of Design, and internationally in Hong Kong and Bangkok. Accomplished in the standard orchestral repertoire as well, Scott has received critical acclaim for his musicianship and interpretive depth. The Boston Globe called him, "charismatic and clearly gifted," and of a performance of Bruckner's Fourth Symphony, The San Francisco Classical Voice wrote, “Guest Conductor Scott Parkman... allowed [the] performance to evolve with a surety that one associates with mature Brucknerians." Previously Scott held conducting positions with the St. Louis Symphony Orchestra, Oakland Symphony, and Minnesota Orchestra. He has conducted professional and youth orchestras throughout the United States, as well as in Europe and Australasia. Scott holds a Bachelor of Music degree from the University of Michigan and a Masters Degree in Conducting from the San Francisco Conservatory. He studied Italian language and culture in Bologna, holds a Masters Degree in Communications Management from Simmons College in Boston, and is a Certified Master Gardener in Massachusetts. | Click here to read Mark O'Connor's full bio. Mark O'Connor began his creative journey at the feet of American fiddling legend Benny Thomasson, and the iconic French jazz violinist Stéphane Grappelli. Now, at age 55, he has melded these influences into a new American classical music, and is perpetuating his vision of an American School of String Playing. Mr. O’Connor has won three Grammys, seven CMA awards as well as several national fiddle, guitar and mandolin champion titles. His distinguished career includes representing the United States Information Agency in cultural diplomacy to six continents and performing in front of several U.S. presidents including being invited to the White House by President Ronald Reagan to perform as a teen. After recording a series of albums for Rounder and Warner Bros including his multiple Grammywinning New Nashville Cats, his recordings for Sony Classical with Yo-Yo Ma, Appalachia Waltz and Appalachian Journey sold a million CDs and gained O'Connor worldwide recognition as a leading proponent of a new American musical idiom. Mr. O’Connor’s Fiddle Concerto released on Warner Bros. has become the most-performed violin concerto composed in the last 50 years. On his own OMAC Records label, the Baltimore Symphony Orchestra recorded his sweeping Americana Symphony while his groundbreaking 9th concerto, The Improvised Violin Concerto was recorded in Boston Symphony Hall. His new touring group, the Mark O’Connor Band consisting of family members (wife, son and daughter in-law) debuted at #1 on Billboard Magazine’s bluegrass album chart and their first album Coming Home won a Grammy in 2017. Mr. O’Connor is set to release his 47th feature album on June 7th, 2017, an exciting new CD, O’Connor Band Live! Mr. O’Connor has authored a series of educational books called the O’Connor Method and is now the fastest growing violin method in the country and tens of thousands can credit the O’Connor books for learning how to play stringed instruments. The O’Connor Method features American music styles, creativity, cultural diversity and western classical technical training. Mr. O’Connor currently is artist-in-residence with the Charlotte Symphony Orchestra, touring nationally with the O’Connor Band and resides in North Carolina with his wife and fellow bandmate Maggie O’Connor. For more information, please see www.markoconnor.com, www.markoconnormethod.com, www.oconnormethod.com, and www.oconnorband.com. 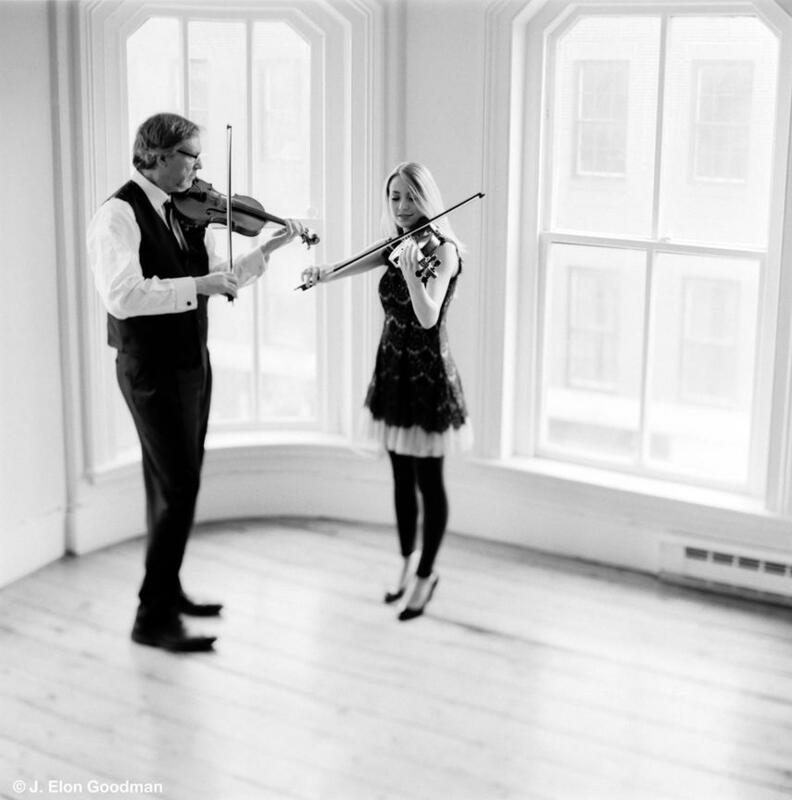 A member of the Grammy Award-winning O'Connor Band, violinist and American fiddler Maggie O'Connor frequently performs with her husband, violinist and composer Mark O'Connor, with recent performances with the Singapore Chinese Orchestra, Santa Rosa Symphony, and Nashville Symphony. | Click here to read Maggie O'Connor's full bio. Violinist and American fiddler Maggie O'Connor performs a variety of musical styles throughout the U.S. and beyond, most recently as a member of the Grammy Award winning O'Connor Band. Frequently performing with her husband, violinist and composer Mark O'Connor, together they have appeared as guest soloists with the Singapore Chinese Orchestra, the Santa Rosa Symphony, the Walla Walla Symphony, the Nashville Symphony with the O'Connor Band, and many other symphony orchestras performing his compositions ranging from his Strings and Threads Suite to his Double Violin Concerto and Johnny Appleseed Suite. The couple has also performed violin duos around the world, including the Leopold Auer Music Academy Hungary as well as the Berlin Konzerthaus celebrating the centennial birthday of the great violinist Yehudi Menuhin. Maggie tours with the O'Connor Band, whose debut album Coming Home won a Grammy Award for "Best Bluegrass Album of the Year" in 2017 at the 59th Grammy Awards. Along with the O'Connor Band, Maggie has also frequently performed in her husband’s ensembles ranging from "Hot Swing" and "American Classics" to "An Appalachian Christmas", a hit concert tour taking place each holiday season. Along with performing, Maggie continues to work as co-director with Mark at O'Connor Method String Camps featuring the lesson book series that is rising in popularity each year. Maggie also makes unique violin peg necklaces to raise funds for scholarships at these camps. She is also featured on her and her husband's album Duo, in which David McGee of Deep Roots Magazine claims "As a technician and as an expressive player, she is formidable, has it all. What I find so special about her, apart from the sheer soulfulness abundant in the music she makes, is her uncanny sense of playing off of and with Mark, knowing when to assert herself and when to be empathetic and supportive." Growing up in a musical family in the suburbs of Atlanta GA, Maggie started playing the violin at age 7 in a family band. Concurrently, she took classical violin lessons with Larisa Morgulis, a distinguished graduate of the Odessa Conservatory in Ukraine. Playing music with her family band is where Maggie began to develop an ear for arranging, recording, group playing, and improvisation; skills she has embraced throughout her musical life. In her early years, she was a member of numerous bluegrass and rock bands while also being a member and soloist with Atlanta's top three youth orchestras. After growing up playing American and classical music styles, Maggie continued her professional training at the Peabody Institute of the Johns Hopkins University where she studied with violinist Herbert Greenberg earning the Bachelor and the Master of Music degrees in violin performance. She was also a finalist in the Marbury Prize Competition for Undergraduate Violinists while finishing up her Bachelor's degree with distinction and had the honor of being accepted into the Five Year Advanced Degree Program along with being awarded the Career Development Grant while at Peabody. She was the recipient of full tuition scholarships while studying at the Aspen Music Festival and School for three years. Maggie currently resides in North Carolina with her husband and plays a beautifully handcrafted 1996 violin made by Lukas Wronski. Programs are subject to change. Tickets are nonrefundable. Group rates are available. Children age 5+ are welcome. Subscriber, senior, and free youth ticket discounts do not apply to this concert. Exchanges can be made up to 24 hours before the originally scheduled concert date. Please call for availability. Online ticket sales are available until 12 pm on the day of the concert. The box office at the concert venue opens one and a half hours before the concert.